Spotify is set to radically change the free part of its music-streaming service, limiting the amount of free music that users can listen to to just 10 hours a month - which is half the time currently offered. It has also been revealed that users will also only be able to listen to individual tracks a total of five times. These changes to the service will officially begin on 1 May and will immediately affect users who signed up to the service on or before 1 November 2010. If you signed up after 1 November 2010, then the changes won't kick in until six months after the day you signed up. The news is certain to bring backlash from those who use Spotify regularly and for free, given that they also have to put up with advertising on the service. 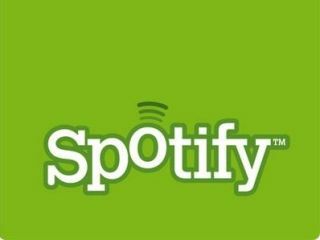 Ken Parks from Spotify has said that the update is one which is being done to keep part of the service free of charge. "Our chief priority is to keep the free service, which is what has made Spotify so popular and successful," said Parks. "We're a company whose ambition is to offer all the world's music to everyone, which means growing the business and our user base to many times its current size. Everything we do is designed to ensure our users continue to have access to an amazing free experience." On the Spotify blog, Daniel Ek says about the changes: "For anyone who thinks they might reach these limits, we hope you'll consider checking out our Unlimited and Premium services." Which pretty much sums up what the company wants most of its users to end up doing.